Decorate your beverages with these gymnastics/tumbling water bottle labels. 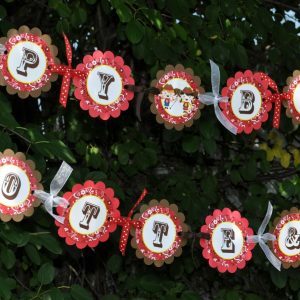 Personalized with the birthday girl’s name and age. 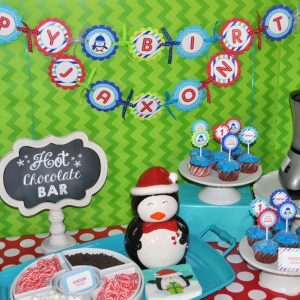 Includes 10 self-adhesive, water resistant labels. Size is 2" x 8". Simply remove the manufacturer’s label, then peel and stick your new label. For the best fit, buy water bottle labels that have a 2" high manufacturer’s label. Loved these water bottle labels! They looked great, very bright and colorful. I had no problems with losing their stick, and the kids at the birthday party loved them. Thanks!!! The most adorable labels! Very nice quality. 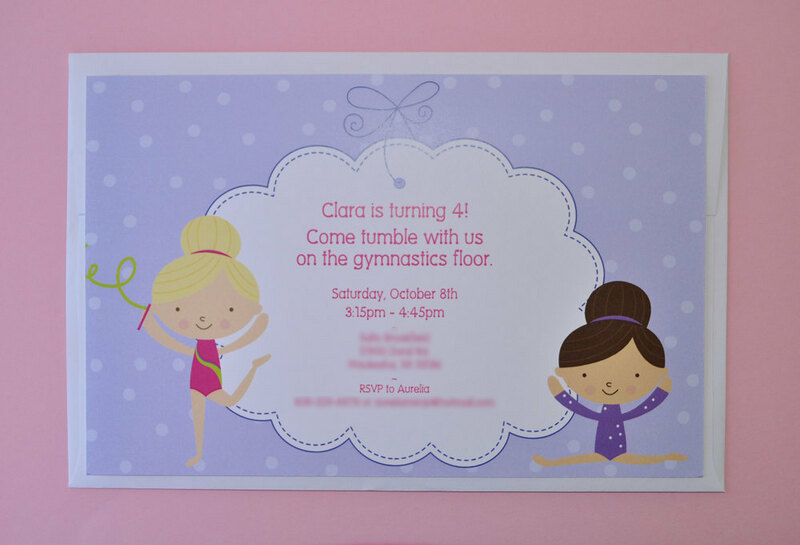 My daughter loved all the gymnastics elements for her party. 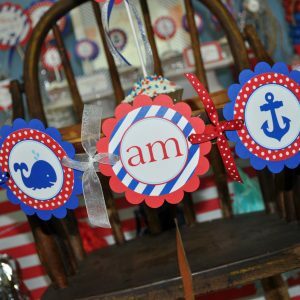 Water bottle labels, cupcake toppers and decorations. 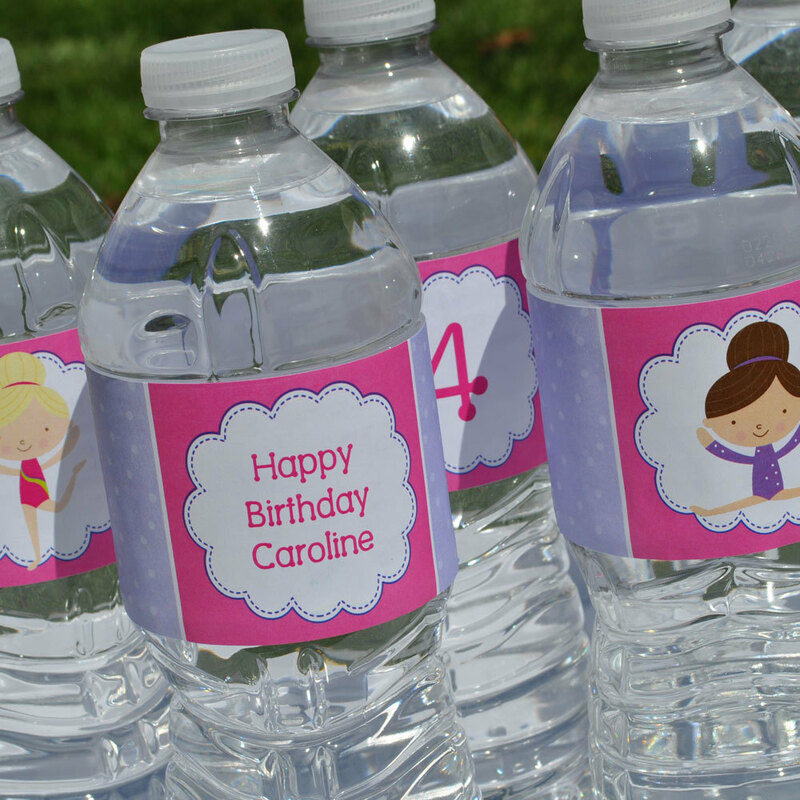 adorable water bottle labels, seller was great to work with! 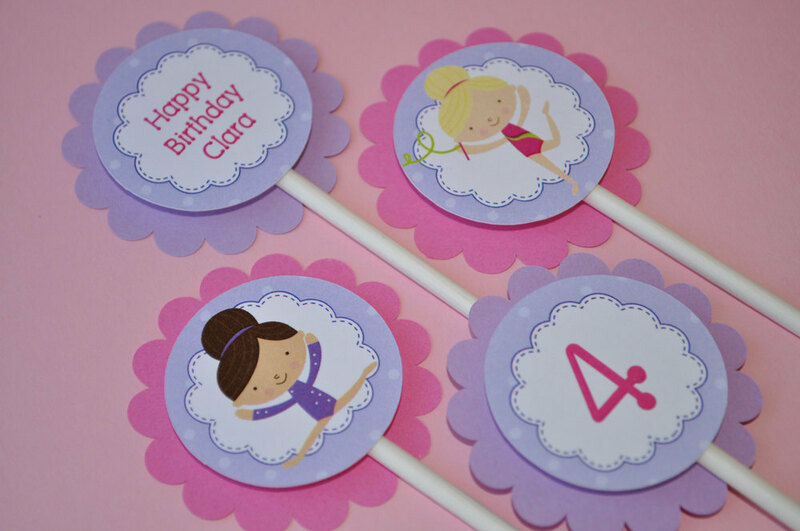 Very cute item — easy to apply and a great addition to a gymnastics themed birthday! The water bottle labels are very cute!! 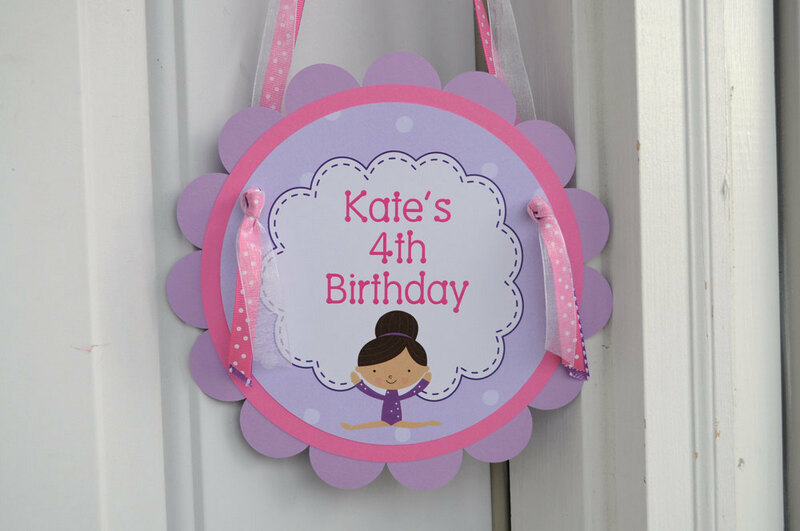 Excellent quality-and amazing turnaround time!